Chart recorders were pretty neat devices to graph time curves of analog values, such as temperature changes. 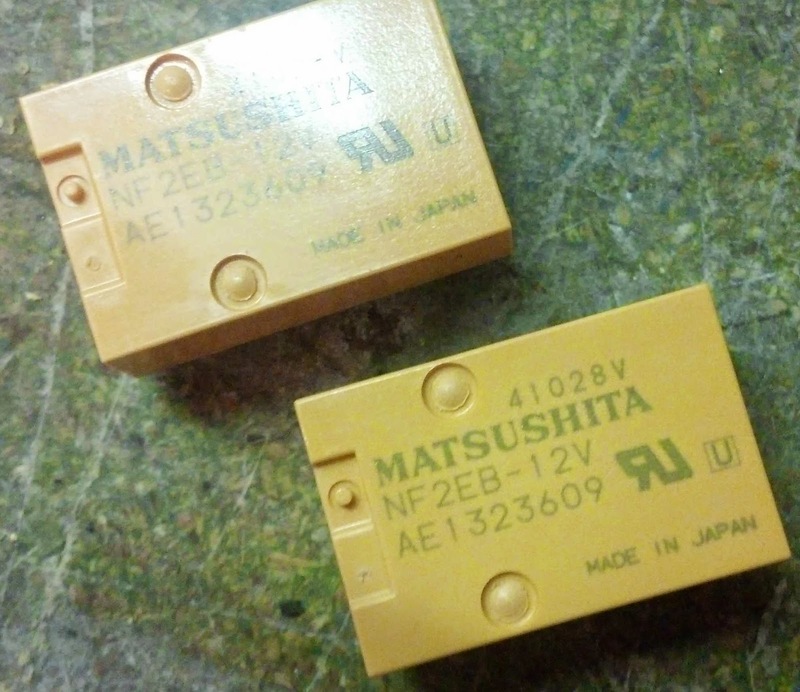 My dad had still a pair of MFE 4144 thermal line recorders in his cabinet of replacement parts. However, the device using those modules is discontinued for now about two decades and he asked me whether I could make use of them. Luckily, my dad found the schematics and the pin mapping of the recorder, so attaching it to a microcontroller was pretty easy. 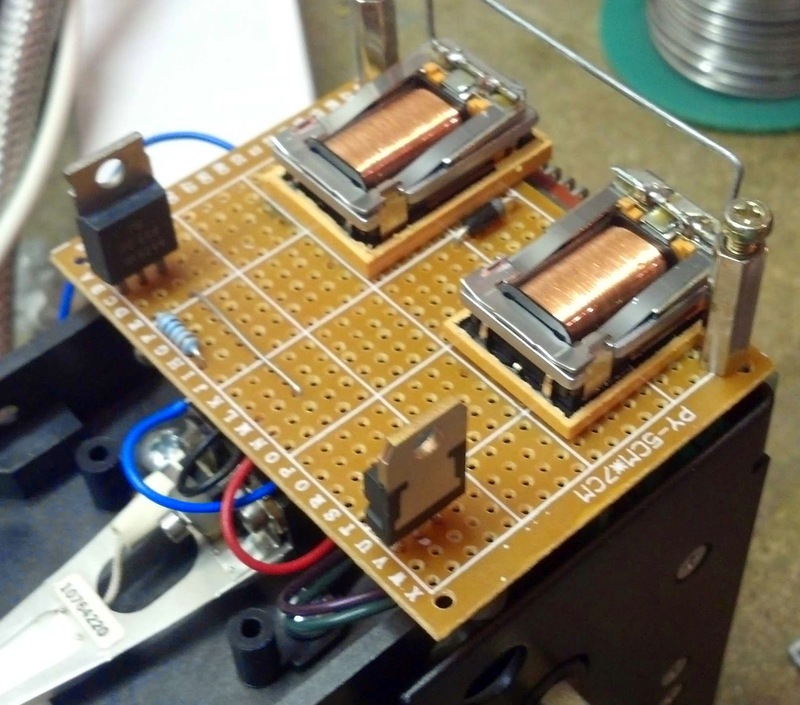 The supply voltage is 12 V; I power it from a bench power supply. 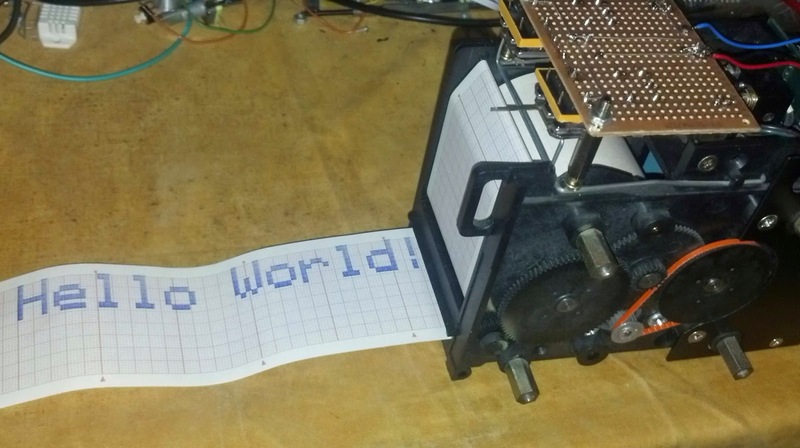 It takes 5 parallel TTL signals as a forward speed selection (a microcontroller drives a stepper motor), and a +/-2 V analog signal for the 'pen' position. The 'pen' is actually a needle that is being heated by a resistor. The thermopaper stains in a nice blue color when having contact to that hot metal. To control the line recorder, I used the PWM signal of an ATmega32u4 on a Pro Micro Arduino-like board, which can be programmed just like the Arduino Leonardo. There are two pins for the needle postion, both independent of the supply voltage. The positive input is hooked up to a PWM output of the microcontroller, the negative input is wired to the wiper of a voltage divider (in this case a potentiometer) between GND and +5V to avoid having to deal with negative voltages. However, the 1 kHz PWM frequency is so slow that it creates a non-linearity between the value inputted to the device and the actual position of the needle: In the middle the resolution is way higher than near the maximum displacement. Only an extremely large RC low-pass filter (R = 10k, C = 10µF) gets rid of that problem but also makes the needle movement incredibly slow. Another way of solving the problem is raising the PWM frequence by setting the timer prescalers of the AVR differently - and that's what I eventually did. Running the PWM at 65 kHz lets you even remove the low-pass filter completely - the result is therefore an extremely simple circuit only consisting of the power supply, the microcontroller, a potentiometer and the line writer itself. 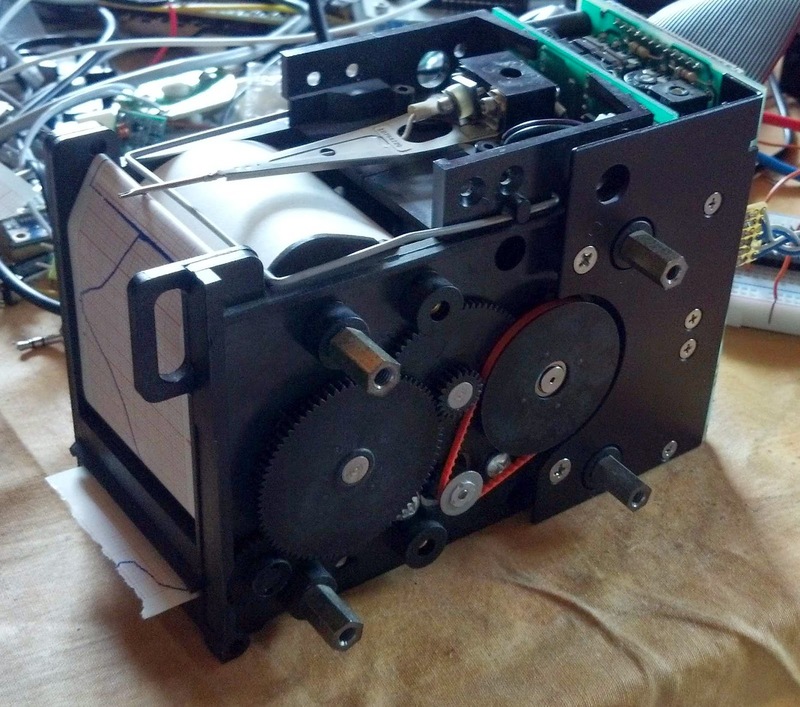 You would either need to be able to move the paper in both directions (the stepper only pulls it off the reel) or the possibility to discontinue the line. The first is unfeasible without enormous effort in modifying the mechanical part of the machine. The latter can be done by either moving the pen really fast that it doesn't leave a trace on the paper (if the needle arrangement wasn't that inert), turning the heater off and back on (which takes about half a minute - definitely too long) or by lifting the needle off the paper (what I did). So I cut them open and soldered a little wire frame to the pallet of the relays which goes just right below the needle and lifts it up when 12 V are applied. The BD649 NPN darlington transistor is way overpowered to operate the relays, but the TO-220 package makes a nice convinient way of mounting the perf board to the recorder. Another transistor in that kind of package is placed on the other side for secure fixation. In the front, spacing bolts and 3 mm screws make it easy to adjust the height of the wire frame later for perfect performance. The other components are a 1 k resistor at the base of the transistor and a flyback diode for the solenoids. Currently I only have it print text in a 8x6 font, but it should be pretty easy to adjust it for larger fonts and even bitmap images. 0x00, 0x00, 0x6F, 0x00, 0x00, 0x00,      // Code for char ! 0x00, 0x07, 0x00, 0x07, 0x00, 0x00,      // Code for char "
0x00, 0x60, 0x60, 0x00, 0x00, 0x00,      // Code for char . 0x02, 0x01, 0x51, 0x09, 0x06, 0x00,      // Code for char ?